2003-07-02. New. Ships with Tracking Number! INTERNATIONAL WORLDWIDE Shipping available. Buy with confidence, excellent customer service! 1994-04-01. New. Ships with Tracking Number! INTERNATIONAL WORLDWIDE Shipping available. Buy with confidence, excellent customer service! 2003-07-02. Good. Ships with Tracking Number! INTERNATIONAL WORLDWIDE Shipping available. May not contain Access Codes or Supplements. May be ex-library. Shipping & Handling by region. Buy with confidence, excellent customer service! Simon & Schuster. PAPERBACK. 1451662386 New Condition. . New. Pocket. MASS MARKET PAPERBACK. 0671510290 New Condition. . New. 1994-04-01. Good. Ships with Tracking Number! INTERNATIONAL WORLDWIDE Shipping available. May not contain Access Codes or Supplements. May be ex-library. Shipping & Handling by region. Buy with confidence, excellent customer service! Simon & Schuster. Hardcover. 0671778013 New Condition *** Right Off the Shelf | Ships within 2 Business Days ~~~ Customer Service Is Our Top Priority! - Thank you for LOOKING :-) . New. Simon & Schuster. PAPERBACK. 1451662386 Like New Condition. . Fine. Pocket. MASS MARKET PAPERBACK. 0671510290 Like New Condition. . Fine. New York, NY, U.S.A.:: Forge Books, 2007. Lt Nathan Dixon finds out that the Army chain of command that is pursuing goals and objectives that have nothing to do with his units stated mission. when a new battalion commander, Lieutenant Colonel Robert Delmont, convinces his superiors that he has an all but foolproof plan for defeating Islamic terrorists in the Philippines. But a charismatic terrorist by the name of Hamdani Summirat unites the various Islamic factions into a confederation. Their aim is to drag the United States into a protracted war of attrition that the Americans cannot win. Summirats factions play out a deadly game of cat and mouse, drawing the American forces into ambushes and small, bloody encounters with a small but highly trained core of Islamic fighters both in the jungles of Mindanao and in the forward operations base.. 384 pages 104. First Edition. Hardcover. Fine/Very Fine. New York, NY:: Simon & Schuster, 1994. The 11th Air Assault Division is dispatched to aid Colombia's unstable government in suppressing a Marxist insurgency and, while it's there, to try and damage the region's booming drug trade as well. One year later, Brigadier-General Scott Dixon arrives to find the FARC insurgency growing ever more formidable and the 11th Air crippled by the incompetence of its commander, Major General Charles Lane. When infantry Captain Nancy Kozak overrides Lane's micromanagement of a firefight and insults him over the radio. Lane demands that she face a court-martial. Dixon is then caught between allegiance to the truth and the need to support the chain of command. 379 pages 104. First Edition. Hardcover. Fine/Very Fine. Simon & Schuster. Hardback. Fine/Fine. 1994. Hardback. Fine first edition first print in fine dust jacket protected with Mylar cover. Simon & Schuster. PAPERBACK. 1451662386 Special order direct from the distributor . New. Pocket, 1995-01-01. Paperback. Like New. Simon & Schuster. Hardback. Fine/Fine. 1994. Hardback. Fine. First Edition. First Print. Dust jacket is protected with a Mylar cover. Books are packed and shipped in boxes. Pocket, 2003-04-29. Mass Market Paperback. Used:Good. Simon & Schuster, 2011-07-10. Paperback. Used:Good. New York: Simon & Schuster, 1994. Hardcover. Near Fine/Near Fine. First edition. Near fine in near fine dustwrapper. Hardcover. Please Note: This book has been transferred to Between the Covers from another database and might not be described to our usual standards. Please inquire for more detailed condition information. New York, NY: Simon & Schuster. Very Good in Very Good dust jacket. 1994. First Edtion. Hardcover. 0671778013 . Book Club Edition; Small 4to - 9" to 11" tall; 379 pages; Clean, tight and bright. Very little wear to note. No price DJ only barcode. No BOMC markings. .
NEW YORK: SIMON & SCHUSTER. VG/VG. Pages: 379. . 1994. 1ST. HARDCOVER..
Pocket Books mass market paperback, 1995. Signed by the author on the title page. First Pocket Books printing in good condition. Spine creased and canted. 432 tight pages. Autographed Copy sticker on cover. A corrupt and fractured government in Bogota, Colombia, requests a small expeditionary force of U. S. troops to combat drug lords and a growing insurgency. A scenario for disaster. Cover Art By Dru Blair. Simon & Schuster, 1994-03-10. Hardcover. Used:Good. US: Simon & Schuster. Hardcover. 0671778013 Literature & Fiction. Very good in Very good dust jacket. First Edition. books carefully packed and shipped promptly . Very Good. 1994-03-10. Simon & Schuster, 1994-03-10. First Edition. Hardcover. Very Good. First edition, first printing, full number line starting with "1". DJ intact and in good condition. Minor wear, mostly around the edges. Name sticker neatly removed from front free end paper.. Unconditional money back guarantee. New York: Simon & Schuster, 1994. 1st edition, 1st printing. With corresponding number line. Book is in Near Fine condition. Boards are clean, not bumped. Fore edges have a tiny bit of shelf wear. Interior is clean and legible. Not remaindered. Dust Jacket is in Near Fine condition. Not chipped or crinkled. Not price clipped. Is covered by Mylar Brodart. All-ways well boxed, All-ways fast service. Thanks.. First Edition. Hard Cover. Near Fine/Near Fine. New York: Simon And Schuster, 1994. 379 pages. Book and Jacket are both in Good condition. There is some light shelf and reading wear, but still a presentable copy. 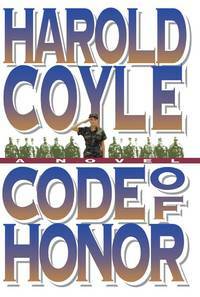 The Dramatic Court Martial Of A Courageous Young Woman Combat Officer, Forced To Choose-on The Battlefield-between An Action That Will Save Her Troops And The Senseless Order Of An Arrogant And Frightened General.. First Edition. Hard Cover. Good/Good. New York: Simon and Schuster, 1994. First Edition. Hard Cover. Very Good/Very Good. 8vo - over 7¾" - 9¾" tall. 379 pp. Light soiling to page edges. Light crimping of jacket at upper and lower edges. A novel of U.S. military operations in Colombia. New York: Simon & Schuster, 1994. 1st. Hardcover. Book fine, Dust jacket fine..
Simon and Schuster, 1994. Book. Very Good. Hardcover. 248 pages, illustrated, Vg/Vg. Pocket Books: Pocket Books. 1995. paperback. B018120; 432 pp paperback, good contents, good wraps . New York: Simon and Schuster,. Very Good in Very Good dust jacket. 1994. First Edition. Hardcover. 0671778013 . 379 pages . New York: Simon and Schuster, 1994. A 379 page thriller. Dust jacket is enclosed in a clear mylar cover.. First Edition. Hard Cover. Fine/Fine. Women Combat Officers, US Military, Columbia, Military Relations, War, Soldiers, Court Martial. Catalogs: Fiction. New York, New York: Simon & Schuster, 1994. First Edition. Hardcover. Very Good/Very Good. Used Book: Hard Cover Standard used condition. Reading copy or better. Simon & Schuster, 2011-07-10. Paperback. Good. NY et al. : Simon & Schuster. Very Good in Very Good dust jacket. 1994. First Edition. Cloth. 0671778013 . New York: Simon & Schuster, 1994. Copy clean & tight.. First Printing. Hard Cover. Very Good/Very Good. 8vo - over 7¾" - 9¾" tall. New York, NY: Simon & Schuster, 1994 Book is pristine inside and the dust jacket has negligible edge wear.. First Edition/First Printing. Cloth. As New/As New. 8vo - over 7¾" - 9¾" tall. Major Publisher. New York: Simon & Schuster. Very Good in Very Good dust jacket. 1994. First Edition. Hardcover.